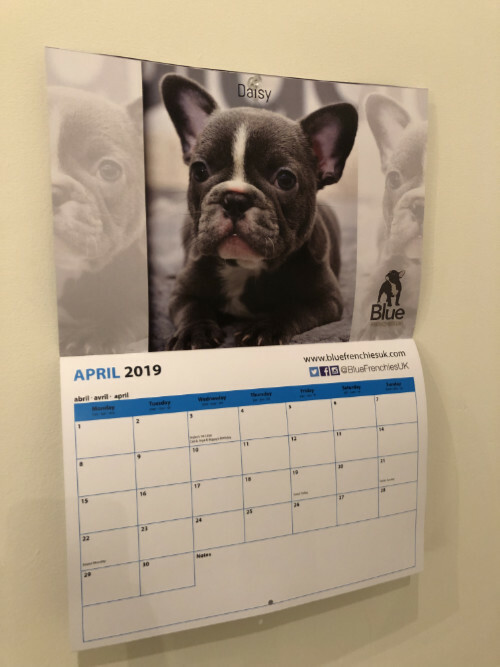 Following on the back of our hugely popular 2016, 2017 & 2018 calendars, our Blue Frenchies 2019 calendar will have 12 carefully selected images of our Dogs and Puppies from our 2018 litters. 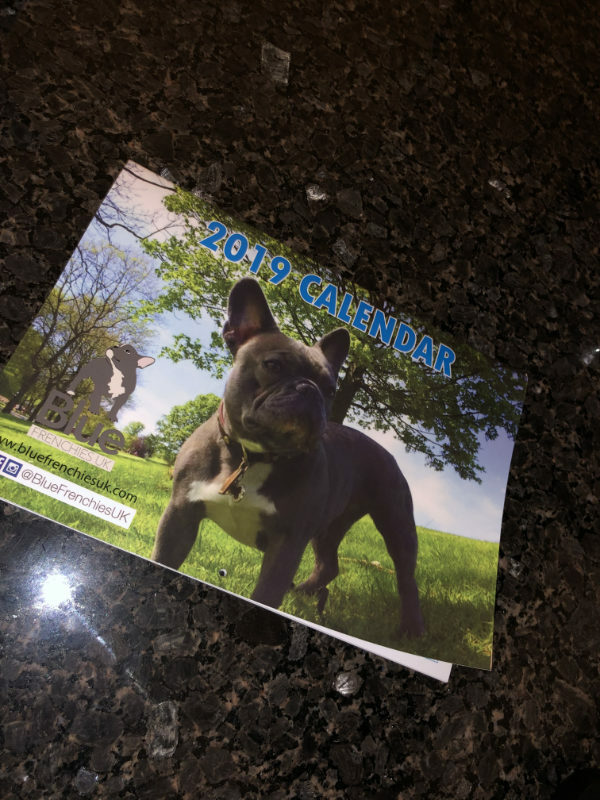 The calendar is usable from January 2019 to December 2019 and features an abundance of holidays while still leaving room for daily tasks and appointments to be added to the daily grid. Approximate dimensions: A4, 21cm x 29.7cm.